Zolani Tete would probably be a good man to take shopping with you. Last weekend in Leicester, he fought for one belt and then ended up getting another one for free. The brilliant South African was set to compete in a final eliminator for the WBO world bantamweight title at the Leicester Arena against Arthur Villanueva, but this was then upgraded to an interim title fight by the governing body after the champion Marlon Tapales was stripped of the title after failing to make weight ahead of his defence against Shohei Omori in Japan. Zolani duly won the interim belt, outscoring Villanueva by a wide margin, but his secondary status proved to be short lived. The WBO on Wednesday declared him world champion. 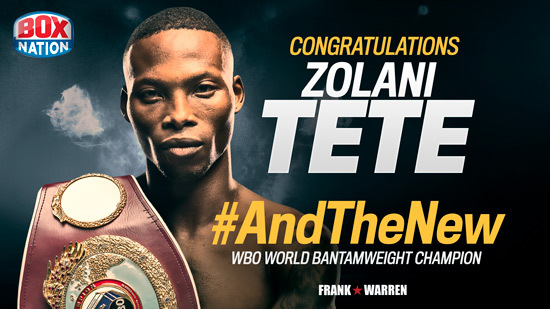 It is only what he deserves though because Zolani was a world champion all along in all but name, having previously relinquished an IBF world title due to promotional conflict. I am delighted that we now have another world champion in our stable of richly talented fighters, along with Terry Flanagan and Billy Joe Saunders. I genuinely believe that it won’t be too long before the likes of Liam Walsh, Paul Butler, Hughie Fury and either of Liam Smith or Williams are added to the roll of honour. Zolani, however, will want to confirm his restored status in the ring and I suspect it will be the other champions he will be after. Zhanat Zhakiyanov is in possession of the WBA belt after the Ricky Hatton trained Kazak unseated the fancied Rau’shee Warren in February, while Shinsuke Yamanaka – the WBC champion – is a formidable prospect and ranked in the pound-for-pound lists. There is also Lee Haskins, the IBF champion, who is down to fight Ryan Burnett in his next defence. I firmly believe Zolani has got the beating of them all and I wouldn’t be surprised if the name of Guillermo Rigondeaux doesn’t figure in our conversations once the Cuban has accounted for his mandatory in June. Many eyes will be on Wembley this weekend, including those, I would imagine, of Tyson Fury as he assesses the landscape ahead of potentially making his return to the ring in the coming months. Hopefully seeing the man he beat, Wladimir Klitschko, to become the linear champion getting another chance to claim three of the belts he lost will stimulate Tyson further in his bid to shift some excess baggage over in Marbella with Billy Joe Saunders. For Anthony Joshua, it is the opportunity to put a marker down on the heavyweight map after taking a far from treacherous route towards winning and then defending his IBF title. Whether this is a truly tall order for the 2012 Olympic champion remains to be seen. 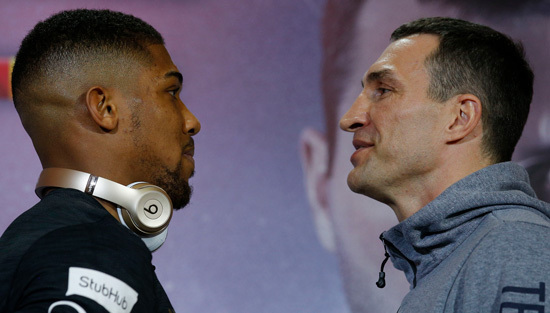 Obviously, in our game, we are all in the hype business, but I look at form and Klitschko has been out of the ring for 16-odd months and is now 41 years of age. It is a long time to be out and his confidence must have taken a knock after being convincingly beaten by Tyson in what was effectively his own boxing back yard in Dusseldorf, which seems to be conveniently forgotten about in the build up. I don’t go along with the theory that Tyson was simply too unorthodox for him, I believe he was just too smart and too much of a fighter for someone who lacks variety and doesn’t seem to have a plan B.
Tyson hasn’t had the plaudits he deserves for his ability and, in the early days, that included from me. Like I said, you have to look at form and what Tyson did to Dereck Chisora, who did not win a second of that fight in November 2014 and the referee should have stopped it. Then you look at Dillian Whyte and Joshua, who had a bit of a life and death in there early on, before Whyte’s desperate struggle against Chisora – that shows you just how good Tyson Fury is. We still don’t know how good Joshua is and we might still be in the dark after Saturday night. Until he fights someone who is in his prime, someone who is fighting regularly and is up there beating quality opposition, questions will remain unanswered. My concern this weekend for Joshua is if the fight goes on longer than he is used to, how will he respond to it? Having said that, he has done what has been asked of him so far, he can punch and he is a big threat on the attack. What we don’t know for sure is how solid a defence he has got. He has hardly needed to call on it to date because his opponents haven’t been up to much. 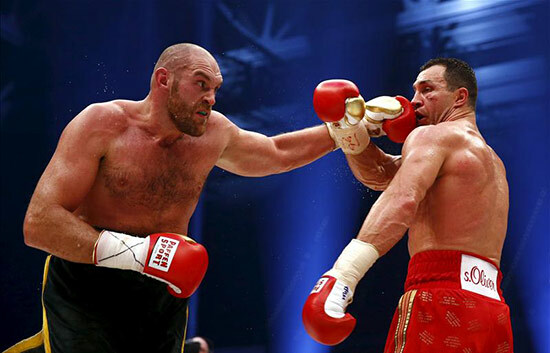 Clearly Klitschko will be by far the biggest name on his CV, but we have to ask ourselves how much has the ultra-experienced but ageing ‘Dr Steelhammer’ left?